Paul believed that God takes pleasure in actions that conform to God’s will. While I was reflecting on Romans 12:1-2 for my sermon this Sunday, I had a startling realization: I don’t really believe that I can do anything to “please” God. To be sure, I’m quite convinced that I regularly disappoint God, but please him? To do something that brings God pleasure? Who can believe such a crazy thing? † N.T. Wright in “Romans,” New Interpreter’s Bible, vol. X (Nashville: Abingdon, 2002), 707. Christians often talk as if “getting saved” were a one-time event that takes place in the past, when we first place our faith in Jesus Christ. If sin is a problem from which we need to be saved, however, then God can’t be finished saving us until we no longer sin. In this sermon, I talk about sanctification—the process by which the Holy Spirit transforms us into the people that God wants us to be. This transformation takes an ongoing miracle from God. It isn’t so much a matter of trying harder; it’s a matter of trusting harder. I’ve been using this app on my iPhone from Nike to track the success or failure of my running habit. I’m sure my Facebook friends wait with bated breath for those frequent updates it sends to my timeline—because who doesn’t want to know where I ran and how far? Nike pays celebrity athletes give me “attaboys” for my performance. One day last week Tim Tebow told me to keep up the good work. Last week, Armstrong made headlines announcing that he’s giving up the fight against charges from the U.S. Anti-Doping Agency that he used illegal performance-enhancing drugs. The agency says that they have evidence that Armstrong used banned blood transfusions, the blood booster EPO, testosterone, and other drugs to win the tour. They have ten eyewitnesses, including some of Armstrong’s teammates, who will testify against him. As a result of refusing to contest the charges any longer, he’s been stripped of all seven of his Tour de France victories. I do not believe we Christians are obliged—or even allowed—to look upon the devastation visited upon the coasts of the Indian Ocean and to console ourselves with vacuous cant about the mysterious course taken by God’s goodness in this world, or to assure others that some ultimate meaning or purpose resides in so much misery. Ours is, after all, a religion of salvation; our faith is in a God who has come to rescue His creation from the absurdity of sin and the emptiness of death, and so we are permitted to hate these things with a perfect hatred. For while Christ takes the suffering of his creatures up into his own, it is not because he or they had need of suffering, but because he would not abandon his creatures to the grave. And while we know that the victory over evil and death has been won, we know also that it is a victory yet to come, and that creation therefore, as Paul says, groans in expectation of the glory that will one day be revealed. Until then, the world remains a place of struggle between light and darkness, truth and falsehood, life and death; and, in such a world, our portion is charity. Can we have some humility about suffering, Ms. Story? Today, for the first time, I heard (or at least paid close attention to) a popular contemporary Christian song called “Blessings,” written by a prominent contemporary Christian singer-songwriter and worship leader named Laura Story. According to Wikipedia, the song was a hit in 2011 and recently won a Grammy award. As I listened to it, I thought it was nearly a great song, bravely tackling the difficult subject of faith and suffering—not a frequent theme in the happy-clappy world of most contemporary Christian music. Upon further reflection, however, I hate it. If people in the midst of suffering and grief find comfort in it, as apparently Story herself did when her husband was diagnosed with a brain tumor, to God be the glory. But I couldn’t stand beside a deathbed and share these sentiments with either a dying person or the loved ones who are left behind. I hope I’d lose my credentials as a United Methodist pastor! “Lesser things”—you know, like healing, comfort, protection, and peace. Apparently, for Story, the greater things God would rather give us—for our own good, mind you—may include terminal illnesses, war, genocide—pick any evil, natural or human. We may pray against evil, as our Lord himself taught us to do, but if we receive evil in spite of our prayers, we should thank God because even these bad things—as Story implies in the song’s chorus—”are your mercies in disguise.” In other words, they aren’t really evil at all. Didn’t I just complain yesterday about how John Piper’s hyper-Calvinist vision of God’s sovereignty attributes human sin and evil to God’s authorship—because even sin and evil serve his (at times) inscrutable purposes. How is Laura Story not saying the same thing? To make matters worse, if the suffering person to whom Story directs these words doubts the hard truth of what she’s saying—and isn’t completely comfortable with the idea that God constantly sends evil-disguised “mercies” our way—we can be sure that God himself “longs” that “we’d have faith to believe.” Here, she says, doubt isn’t faith’s necessary correlate, as classic Christianity teaches, but is instead the opposite of faith. I should throw out every sermon I’ve preached on “doubting Thomas,” that’s for sure! Am I being too hard on the song? After all, she asks, “What if?” As if she’s wondering aloud. But listen to the song and tell me that she means it as an open question. 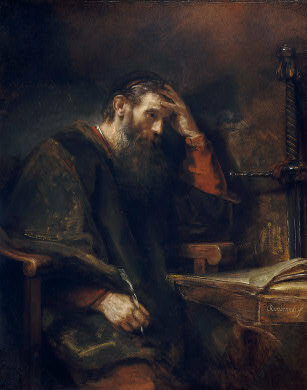 The most charitable reading is that Story got a bit sloppy with her words and meant to say, simply, that God takes all these bad things—including sin and evil—and uses them for his good purposes; or that God is continually bringing good out of suffering; or that God is incredibly merciful in the midst of suffering. That’s what I would like the song to say. In which case I would agree wholeheartedly! In C.S. Lewis’s masterful book The Problem of Pain, he writes that God is “mercenary” about using suffering for our good. But using suffering isn’t the same as causing it, especially when doing so makes God complicit in sin or evil. The Bible teaches that sometimes God punishes people in history for their sin—whether by not sparing them from the natural consequences of cause-and-effect or even by actively afflicting them with discomfort, disaster, or disease. Moreover, God’s purpose in doing so is good. I’m happy to report that, at least in the tiniest of measures, God has let me suffer for my sins—at least enough to bring me to repentance. I consider this kind of punishment an act of severe mercy on God’s part. What I’m arguing is that when it comes to human suffering, there are things we can say with theological certainty—based on the Bible and two millennia of Christian thinking on the subject. But there is also a great deal of mystery, especially as it relates to God’s involvement and agency in suffering. We owe it to those who suffer to speak with circumspection and humility. Unfortunately, this song fails to do that. Some of my longtime blog readers noticed this a long time ago, and for them I hate to state the obvious: I am an evangelical Christian. I wasn’t sure I was when I graduated from a mainline Protestant seminary five years ago—in fact, I was sure I wasn’t—but I’ve been convinced of it for a while. I credit especially the writings of N.T. Wright, a retired Anglican bishop and prominent New Testament scholar. He taught me how to be an evangelical, or helped convince me that I already was. In doing so, he taught me how to be properly Methodist. Being Methodist, historically speaking, implies being evangelical—although the church easily loses the plot. May I be an evangelical who is also well-acquainted with religion of the heart! I’m working on it, I promise. I am one of these people! I’m trying to love Jesus just like them. I’m trying to read and believe the Bible just like them. I’m trying to convince people of the truth of the gospel just like them. We have so much in common! These are my brothers and sisters! I shouldn’t have needed to become an evangelical Christian to discover this truth, of course… So shame on me. Having said that, I also recognize the theological kinship I share with many evangelical weirdos. One of these is John Piper. I’ve written about him before. Piper is the spiritual head of the “Young, Restless, and Reformed” neo-Calvinist movement. He has many, many fans—”Piper cubs” they’re sometimes called—especially among young Christians in America. He is a often a featured speaker at Passion Conferences for college students. It’s not exactly headline news that a Methodist pastor opposes John Piper’s theological opinions, but I do. I think they’re genuinely harmful. Most Calvinists blush at such statements. And there’s the line for me between “acceptable” and “unacceptable” Calvinism. I cannot accept, even with chagrin, Calvinism that says God foreordains and renders certain specific sins. That inexorably, ineluctably, inescapably makes God the author of sin and evil. That sullies God’s character OR makes sin not really sin. You have to choose. There’s no way around it. Arminius was absolutely right when he addressed this Calvinist idea (which he associated especially with supralapsarianism but which is not held only by supras). He said that in that view, then, sin is not sin, or God sins and is really the only sinner. Again, as I have said so many times before, whatever Scripture passages used to support this view mean, they cannot mean that. (Wesley said that about the Calvinist interpretation of Romans 9.) Why? Because if that’s what Scripture means, then the God of the Bible is not good in any meaningful sense. Then, if that’s what the Bible means (which it cannot mean), then the God of Jesus Christ is the ultimate sinner or sin is not really sin. The logic is inescapable. Does Olson get Piper right? Do you see Piper’s theology as harmful? † John Wesley in William Willimon, United Methodist Beliefs (Louisville: WJK, 2007), xii. Our church has been selling copies of this book on Sunday mornings, along with a couple other Wesley resources. You’re not going to get a better, more readable introduction to Wesleyan thought. If you know Bishop Willimon, you know his writing style isn’t dry. He has more than a few opinions on the subject of Methodism that he doesn’t mind sharing along the way. His subjectivity, however, is never distracting to me. Last Sunday I preached on sanctification, which Willimon identifies as the central emphasis of Wesleyan thought. This doctrine, with its robust understanding of the Holy Spirit’s work in the believer’s life, is Methodism’s best gift to the universal Church. Willimon rightly identifies Pentecostalism as a “grandchild” of Methodism. On the subject of sanctification, he addresses the central challenge facing Methodist theology, the point at which Wesley loudly parted company with Luther and Calvin, and the challenge we’ve been dealing with on this blog for the past month or so: Given our Wesleyan emphasis on human responsibility (including the free choice to accept God’s justifying grace in the first place), how do we, at the same time, claim that we’re saved by grace alone, through no merit of our own? 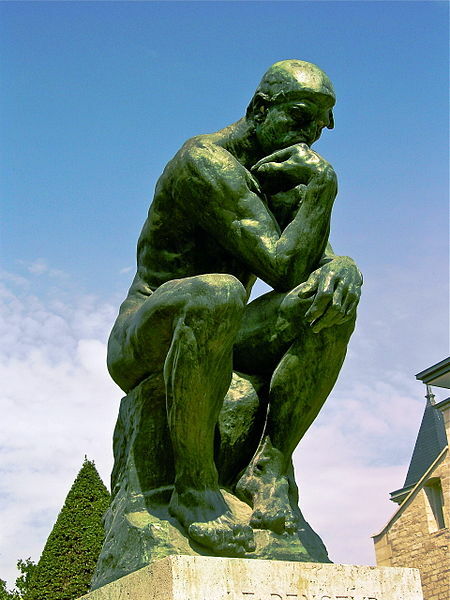 A word of theological caution: When we Wesleyans speak of this triumph of prevenient grace, there is the danger that such talk will overshadow our truthful and orthodox assertion of the pervasiveness of human sin. How do we affirm with the Western theological tradition (thanks to Augustine against the Pelagians) that we are indeed sinners utterly unable to save ourselves from our sin? How do we avoid hedging on the historic affirmation that salvation from sin belongs only to God in Christ, working through the Holy Spirit without our help or encouragement, and (with Wesley) assert that God has given us the freedom to take some real responsibility for our situation? We do it through prevenient grace. I recommend reading the book for the complete answer, but he’s right on: prevenient grace is the key. 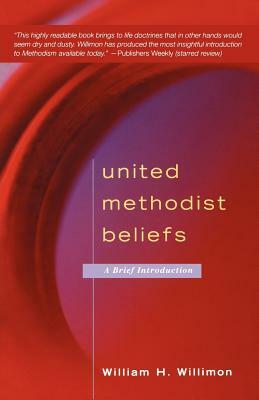 †William Willimon, United Methodist Beliefs: A Brief Introduction (Louisville: WJK, 2007), 78. Here is a reflection by C.S. Lewis on forgiveness that accompanies Psalm 51, which I preached on yesterday, in the C.S. Lewis Bible. C.S. Lewis, “My Sin Is Ever Before Me,” from The C.S. Lewis Bible NRSV (New York: HarperCollins, 2010), 606. In today’s scripture, Jesus tells Nicodemus that we must be “born again” to enter God’s kingdom. It used to be popular to talk about being a “born-again Christian.” The truth is, being born again isn’t merely something that the super-saints among us have experienced. If we’re authentically Christians, we have experienced new birth. Have you been born again? What does it mean and why is it necessary? How can you know whether you’ve experienced new birth? 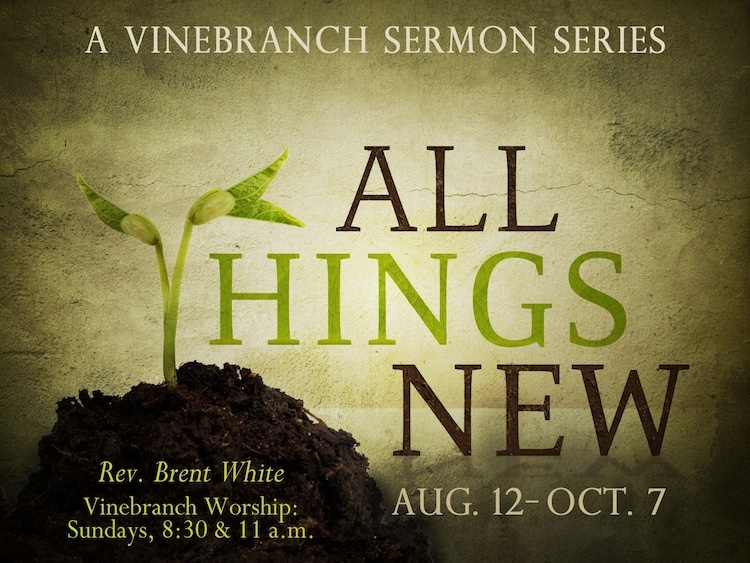 This sermon will explore those questions. Last week, I went to an Emory clinic to get my shots and prescriptions for my upcoming trip to Kenya. One of those shots was for yellow fever. Kenya doesn’t currently have any cases of yellow fever, but some neighboring countries do. So, just to be safe, the doctor recommended that I get the shot. “Are there any possible drawbacks to getting the vaccination?” “Oh, sure,” he said. “It’s a live-virus vaccination, so we’re going to inject a small bit of the virus into you. Your immune system should kick in and develop immunity to it. But if it doesn’t, there’s a small chance you could contract yellow fever.” Just what I needed to hear! I’m slightly, slightly a hypochondriac, soI’m thinking, “Should I call the hospital and reserve my bed now?” because I’m already convinced I’m going to get yellow fever! “This time you’ll stick with it,” the back cover tells me. 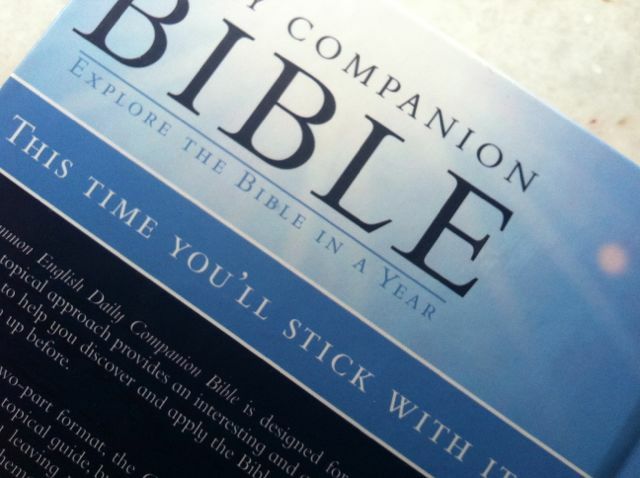 I’ve confessed to you before that I’m a sucker for buying Bibles. Sadly, I like buying them more than reading them. When I say “reading,” let’s be clear (in case my bishop is reading this): I’m excluding the necessary reading that I do as part of my job—to prepare sermons and such. I do a lot of that kind of reading. Although I thoroughly enjoy this kind of Bible-reading, I’m getting paid to do it, so that doesn’t count. I’m talking about the Bible reading that I do when no one else is looking. Like dragging myself out of bed earlier than normal or carving out space in the evening in order to read for no other purpose than simply to hear God speak to me. That’s the hard kind of reading, which I fail to do every day (so far). Even when I was a layperson taking Disciple Bible study, I didn’t read every day. I read every second or third day, and a lot the night before our small-group meeting. Some of you know what I’m talking about. In fact, one theme of my Bible-purchasing habit is that I’m constantly looking for the Bible that will make this hard kind of reading easier. How does it know me so well? It’s like the publisher was clairvoyant or something. It’s only been a month and already I haven’t stuck with it, of course. Daily Bible reading is a great goal, but I haven’t attained it. On the bright side, however, I am reading the Bible more frequently now than before. That’s something, right? I may be unable to read the Bible every day, but I’ll bet I can read it today. And if I read it today, that ain’t bad. And if I fail to read it tomorrow, that won’t be the end of the world. I’m reflecting on this personal struggle of mine because of something I read just now from Rachel Evans’s blog that you might find very helpful. Does it ring true to your experience as a disciple of Jesus? † William H. Willimon, United Methodist Beliefs: A Brief Introduction (Louisville: WJK, 2007), xi.